Poised in defense of the Fatherland from the looming Soviet invasion, the West German Army�s panzer and panzergrenadier divisions are not just ghosts of their World War II namesakes. This time it is Leopard tanks, Marder infantry fighting vehicles and Jaguar tank destroyers filling out their ranks. Its 1st Corps makes up part of NATO�s Northern Army Group (NORTHAG) along with BAOR while its 2nd and 3rd Corps stands alongside the US 7th Army in NATO�s Central Army Group (CENTAG). 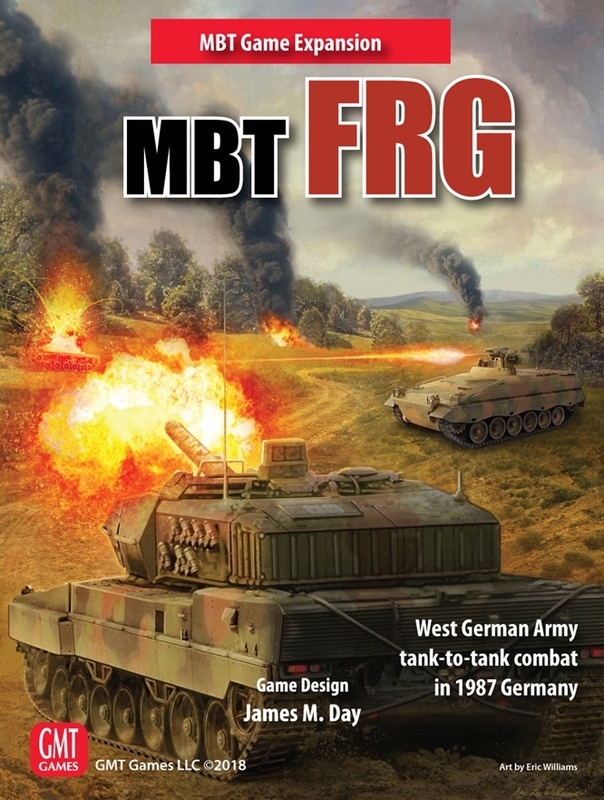 This MBT expansion focuses on FRG�s armored and mechanized forces. Battle it out in 10 new scenarios. Combine the 4 new double-sided geomorphic maps with the MBT base game maps and even the MBT BAOR Expansion for more exciting battles. Includes detailed TO&Es for the West German Forces. Leaders add a powerful new dynamic to MBT. They represent individuals of various ranks and skills that can influence gameplay in a number of unique ways. In almost all cases, scenarios do not indicate the presence of any particular leader or leaders. Players may freely add any number of leaders or none at all. Just decide by mutual agreement. Follow the recommended command structure below, or just go with whatever works. There is no correct or incorrect approach as battlefield conditions make fore very fluid situation. There may be occasions where junior officers or NCOs find themselves in overall command or senior officers are commanding only a small contingent. In order to play this expansion, the MBT basic game is required; the MBT BAOR Expansion is not.